During the 2019 season, Lake Holly will be hosting three tournaments as shown below. 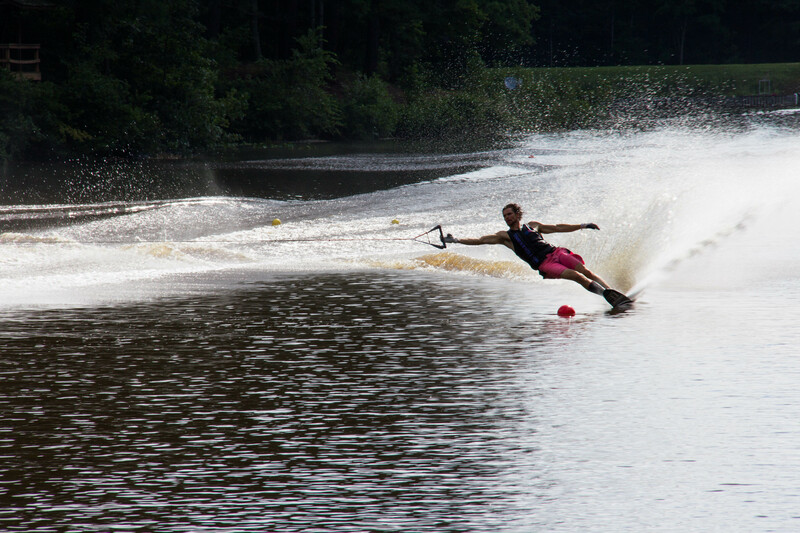 In the table below under the “Tournament” column, you will find links that will direct you to the USA Water Ski web site where the official Tournament Descriptions and online Registration can be found. Note - Tourament Scores will be posted above within 48 hours of completion of the tournament. Tournaments entry and payment - Online entry and payment is preferred. Just click on the tournament links above which will re-direct you to the USA Water Ski site and then click the "Enter Online" button on the Tournament Web page. General Information-(Camping and Local grocery stores). Food on Site - LHSC has a full kitchen on site in the lower level of the Judges Stand. Breakfast and lunch are available each day of any tournament. Lake Holly does not have camper hookups and there is limited parking available for RVs, travel trailers, and tents. Please contact Lewis Fields at (252) 536-1037 to reserve a spot for camping. Practice schedule – Please make sure you are at the starting dock ready to ski when your time slot begins. If you miss your time slot, you will take your turn for any open slots. Please allow for plenty of time to get to the site, especially if you are traveling I-95 South. For guests safety, dogs must be kept on a leash at all times. Dogs on leashes are permitted in the parking lot and areas 100 yards or more from the lake. The use of golf carts, ATVs, and other motorized vehicles is limited to club members and officials only. Parking might be tight, so please observe the marked off parking areas. Please utilize designated drop off area for skis, fold-up chairs, etc., at “the top of the hill”.